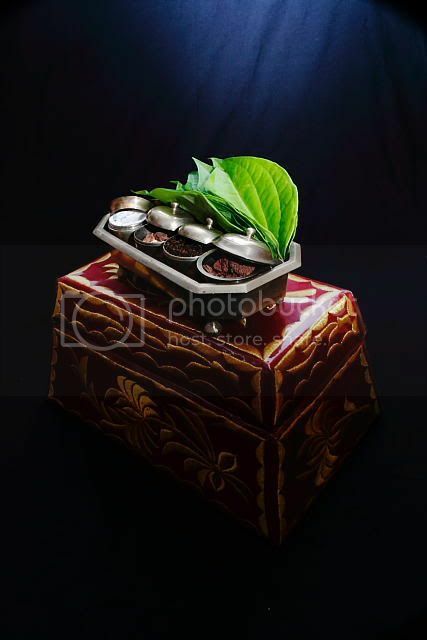 " Tepak Sireh is a metallic container, usually from brass or copper, to keep all the accessories and ingredients of making sireh "
The 'tepak sireh' were created by my mother for my brother engagement the next day. Feel free to comment or critics the above shot as i was new in here ..
Re: " Tepak Sireh "
Wa!!! Nice! But maybe you should crop the bottom part? Thanks for sharing! oh my! the shot is already breathtaking as it is... wonderfully captured! Nice work bro, hope to see more of ya works! Thanks Guy for the comment and compliment. i will keep on posting any nice moment that i shoot ... later - later lah .. hehehe ..